Jubilation VII - Hamba Ekhaya represents the culmination of a long-standing dream for Trevor Payne, begun 15 years ago at Union United Church in St-Henri. Today, he has brought the Montreal Jubilation Choir full circle, taking the Lord's blessing and the indestructible beat of St-Henri home to Africa and into our hearts. 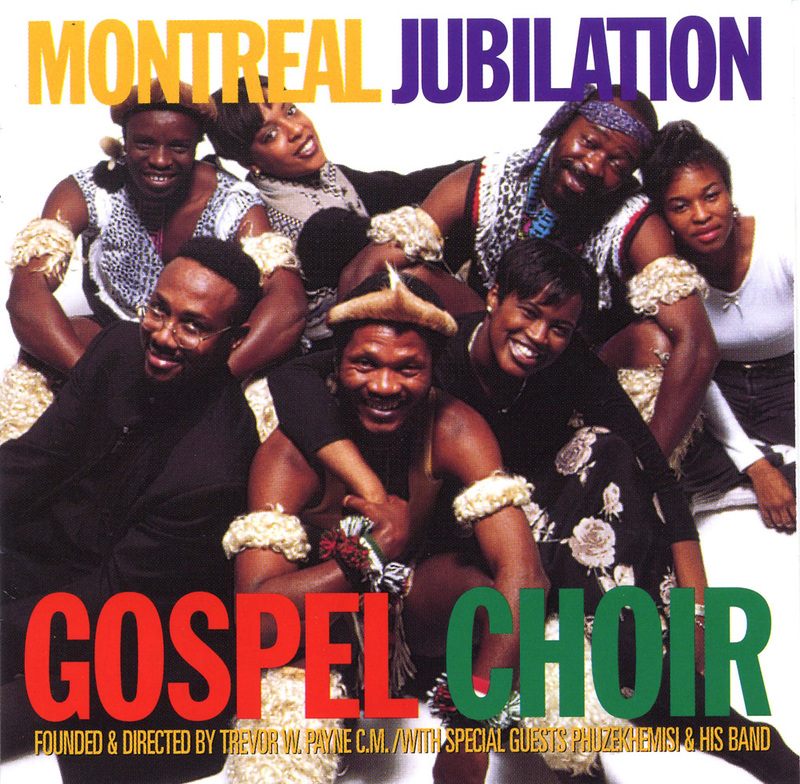 On December 13th, 14th and 15th 1996, the Montreal Jubilation Gospel Choir brought the music of Africa to Montreal. These concerts were recorded and the result is Hamba Ekhaya ("Goin' Home" in Zulu). In May 1996, Trevor W. Payne, founder and director of the Montreal Jubilation Gospel Choir, went to Africa to research the material for this recording. One of the goals of this voyage was to meet with Gallo Records' recording artist Phuzekhemisi, a brilliant composer-vocalist-guitarist and leading exponent of traditional music of the Zulu, and arrange for him to come to Montreal with members of his group to record with the Choir. The meeting was certainly profitable. Phuzekhemisi and his two musicians are an integral part of this project, contributing seven original songs. The choir is perfectly in tune with the music and the language of Phuzekhemisi as well as the other African songs including "Nkosi Sikelel' iAfrika" (Lord Bless Africa) the National Anthem of South Africa. A M.J.G.C. album would not be complete without a few traditional gospel favourites, included here are "Amazing Grace", "Highway to Heaven" and others.